We have world-class Electronics Recycling Services in East Village, New York. Let All Green help you dispose of your old electronics, like computers and mobile phones, wherever you are in this neighborhood. Let All Green Electronics Recycling provide you with easy, simple, and efficient e-waste recycling disposal services. Disposing of your disposable IT equipment should be done only by an expert. We're the leading company in the industry. The stored sensitive files and information in your disposable hard drives should be deleted permanently to protect your brand. Destroying old and defective computers, mobile phones, and other IT products should be done professionally, completely. Are you looking for an e-waste recycling company in East Village, New York? If yes, then All Green is the answer. We are proudly serving the people here with our Electronics Recycling East Village Services. The goal of our services is to make sure that no single computer, or mobile phone, or any other EOL IT products will be dumped, deposited in the landfills. Electronics contain hazardous metallic elements like copper, cadmium, nickel, iron, mercury, among others. That’s why disposing of any electronic device in a proper way is important. 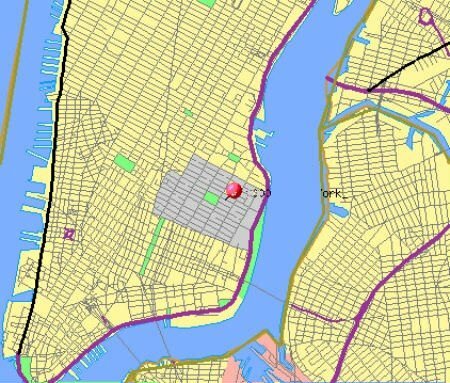 East Village is a neighborhood is located in the north of the Lower East Side of Manhattan and has several smaller neighborhoods like Alphabet City and the Bowery. There are many parks here, including Tompkins Square Park and East River Park. Our services are ready for the following locations. You can now schedule an e-waste pickup. 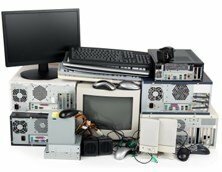 If you have old computers, printers, fax machines, telephones, cellular phones, and other disposable IT products in your home or office, let our team pick them up. We will transport them going to our facilities in Southern California. We will do the necessary activities there just like the off-site data destruction and refurbishment processes. Are you ready now to achieve your e-waste goals? Schedule a pickup today or find a drop-off location. Remember that your old electronics must not be deposited in the landfills. Therefore, you should trust us. Just click on the link given below to schedule an e-waste pickup right now. Wherever you are in the locations found on the map, All Green is always ready to cater to your needs. Our IT Asset Remarketing will give you the opportunity to earn 70% from the total resale net profit. We also have data security and hard drive shredding service that will make sure that no sensitive non-public files will leak or be hacked by third parties. For more details and information about our offers, please feel free to contact us today.